For over 50 years, our focus has always been on customer service and innovation. Purchasing a new or used Mazda is easier than ever, thanks to our best-price-first, no-negotiation experience. Finding a Mazda dealership near you in London is achievable when you choose our professional team at Pfaff Mazda. Whether you are looking for a new Mazda, or a pre-owned Mazda, our dealership has the selection you are looking for! In this article, we will take a look at why you should choose Pfaff Mazda when you are looking for a Mazda dealership near you. Pfaff Mazda a very large selection of new and pre-owned Mazdas. Our pre-owned vehicles are hand-selected and inspected for top quality by factory-trained teams. We also have professional appraisers on-site to offer you maximum value for your trade. 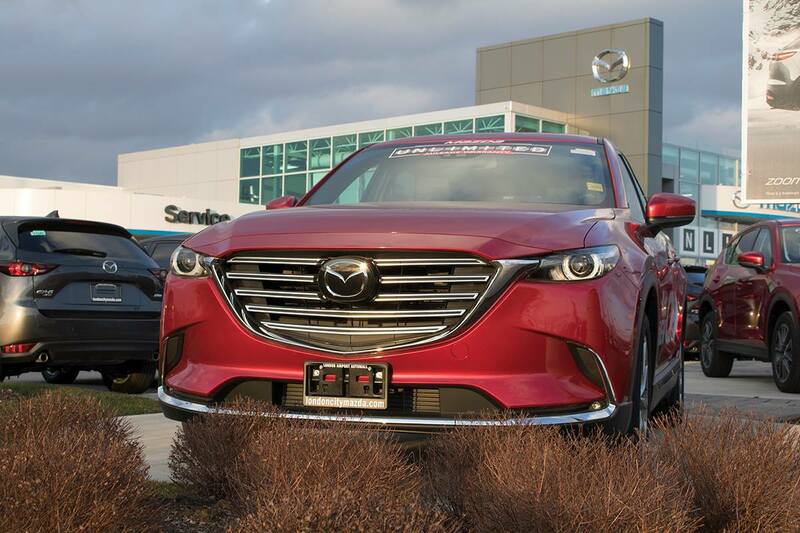 Pfaff Mazda is committed to excellence in customer service at every point of contact. Our teams go the extra mile to provide you with exceptional care, and we ensure that your ownership experience is rich with benefits. We personalize our services in line with your requirements, and we make sure that we meet all of your expectations. When you are looking for a Mazda dealership near you, it stands to reason that you choose a dealership with the highest quality customer care. Our service professionals are all factory-trained Mazda enthusiasts, and our state-of-the-art equipment is all Mazda Canada approved. We wash your vehicle after bigger service jobs, and offer you a complimentary shuttle service with every visit. Enjoy an exceptional service experience every time you maintain or repair your vehicle at our Pfaff Mazda dealership in London! At Pfaff Mazda, we ensure that you get the best possible trade-in value for your vehicle. We want you behind the wheel of a Mazda vehicle! We’re always looking to add new vehicles to our pre-owned inventory. We use Market Value Pricing to evaluate every trade-in, and will pay you top value for all makes and models. For more information about how you can find a Mazda dealership near you, please feel free to continue browsing through our Pfaff Mazda website. Click here to find our contact information, schedule a test drive, or to fill out our contact form.